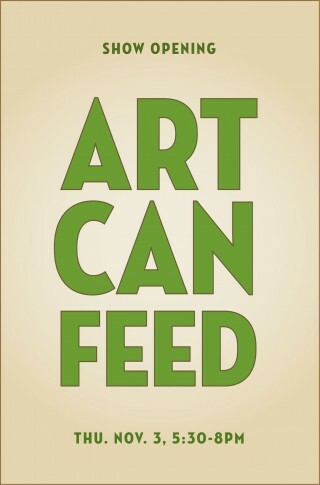 Join us for the opening of “Art Can Feed”. The show where selected artists have created installations using only food cans as a medium. It’s an impressive and creative feat and one that benefits the great folks and amazing pantry at the St. Anthony’s Foundation. Come see the work and help support a great cause.